Cardiovascular disease (CVD) is the number one cause of death worldwide, as well as a leading cause of inpatient hospital care and severe disability. According to estimates from the World Health Organization, the number of CVD-related deaths that occurred in 2015 was 17.7 million, which represented 31% of all deaths globally. Lipids such as cholesterol and triglycerides cannot circulate in the bloodstream independently because they are hydrophobic or insoluble. Instead, they are bound by proteins to form complexes called lipoproteins, which then transport the lipids to tissues where they can be stored or used as a source of energy. Research has shown that levels of certain lipoproteins in the blood closely correlate with atherosclerosis risk and in the U.S., an increased risk of CVD is associated with abnormal lipid biomarker profiles in around 50% of cases. The more lipid that is present in a lipoprotein, the greater the density of the complex. Lipoproteins are usually classified based on their buoyant densities into five main groups. These include chylomicrons (CMs); very low-density lipoproteins (VLDLs); intermediate density lipoproteins (IDLs), low density lipoproteins (LDLs) and high-density lipoproteins (HDLs). Each of these particles play different roles in the body; some of which can have detrimental effects on the cardiovascular system (VLDL, IDL and LDL), while others have beneficial effects (HDL). These five lipoprotein fractions can be further separated into subfractions that have distinct compositions and properties. Certain subfraction profiles have also been associated with increased CVD risk. Since the high levels of cholesterol and triglycerides in certain lipoproteins have been associated with an increased risk of CVD, there is an increasing demand in clinical medicine for effective lipoprotein fractionation and quantification methods to aid lipoprotein screening and improve CVD prevention and diagnosis. Recently, Søren Engelsen and colleagues published a review comparing commonly used analytical approaches for blood lipoprotein measurement. These include gel electrophoresis, gel-permeation high performance liquid chromatography (GP-HPLC), the “gold standard” density gradient ultra-centrifugation (UC) and NMR spectroscopy. The gel electrophoresis, GP-HPLC and UC methods all require distinct separation and quantification steps for accurate composition analysis, which can be time consuming and labor intensive. By contrast, lipoprotein classification and quantification are achievable by 1H-NMR spectroscopy with just a single experiment that can be carried out in as little as ten minutes. The sensitivity of NMR spectroscopy to the chemical and physical properties of lipoproteins means both fraction and subfraction determination are achievable. The different chemical compositions and sizes of the various lipoprotein fractions and subfractions results in slightly different magnetic susceptibilities. These broadcast distinct NMR signals at individual amplitudes that are directly proportional to the concentration of the lipoprotein particles. Furthermore, the non-destructive nature of NMR means the chemical equilibria of samples can be preserved. 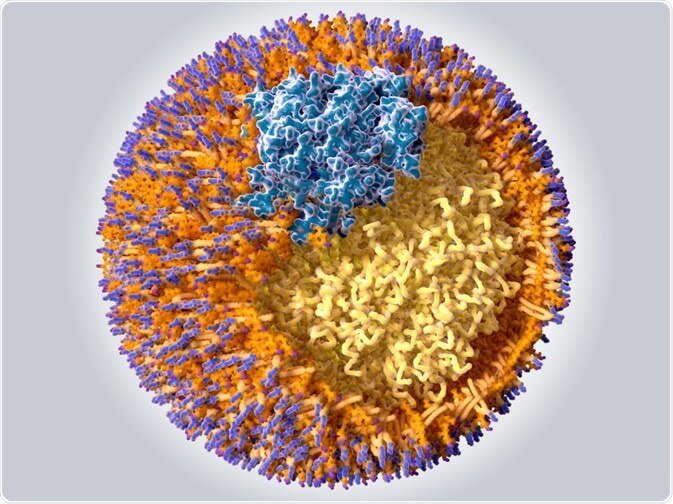 Most recently, Bruker BioSpin, has released a new NMR-based protocol for lipoproteins fractions and subfractions identification and measurement called B.I.-LISA (Bruker IVDr Lipoprotein Subclass Analysis). How can the AVANCE IVDr system help you in your research? The method is designed for Bruker's AVANCE IVDr (In-Vitro Diagnostics Research) system based on 600 MHz 1H NMR, which is equipped with advanced hardware, software, automation, spectral libraries and Standard Operating Procedures (SOPs; Bruker IVDr Methods). Bruker is a world-leading developer of high-performance scientific instruments and diagnostic solutions. Standardized storage conditions are essential if physical lipoprotein characteristics are going to be stable in the blood samples obtained. In the case of NMR spectroscopy, storage conditions are particularly important and great efforts have been made to ensure common sources of analytical bias do not affect the reproducibility or reliability of the results obtained from serum and plasma profiles. According to the most recent SOPs, serum and plasma samples can be stored for nine months at −80°C, without differences in NMR profiles occurring. For lipoprotein profiling by UC, on the other hand, fresh blood serum and plasma samples must be used, suggesting that separation needs to be carried out as soon as possible after sample collection. Although 1H-NMR has proved to be a valuable alternative to the standard procedures used for lipoprotein profiling, the NMR spectra must be calibrated to a primary reference method such as UC, using multivariate regression methods. This is because quantification of baseline-resolved signals is not possible with lipoproteins due to the heavily overlapping signals of certain resonance envelopes in the NMR spectrum. One methodology that has been proposed for calibration to reference methods is interval partial least squares (iPLS) regression. This approach enables localization of relevant spectral regions that are correlated with the cholesterol and/or triglyceride concentrations, as measured by the reference method, in the regression equation. This has been shown to effectively predict postprandial chylomicrons and to determine cholesterol levels in plasma lipoprotein fractions from rodents. Engelsen and team acknowledge that there are still some challenges to overcome surrounding the idea of using NMR-based lipoprotein profiling in clinical practice, but they believe that with the current efforts that are being made to standardize NMR measurements and reference methods, this technology could revolutionize the field of lipoprotein profiling. Saba, S and Oridupa, O. Lipoproteins and Cardiovascular Diseases. Lipoproteins - Role in Health and Diseases 2012; DOI: 10.5772/48132.